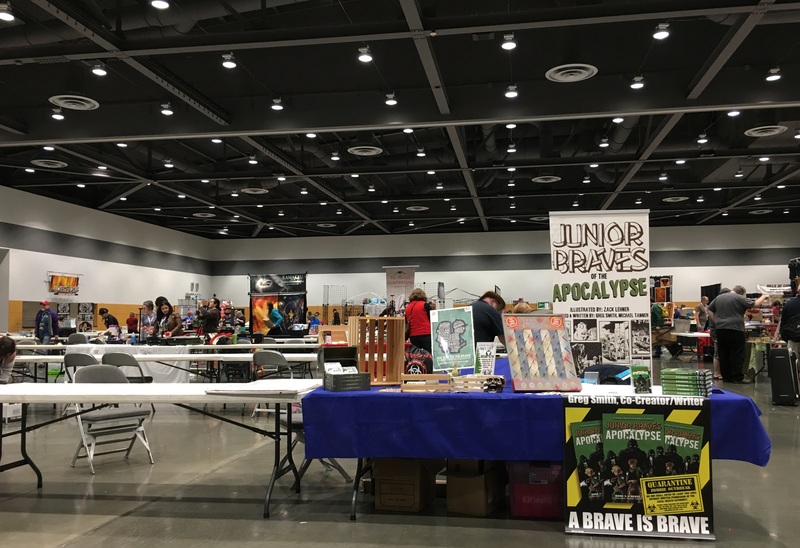 This past weekend was Jet City Comic Show, my first one in fact! 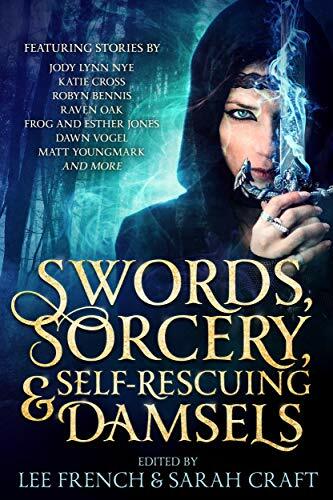 I wasn’t originally going to attend but once the We Are All SF convention exploded in a shower of sparks, I was invited to attend. 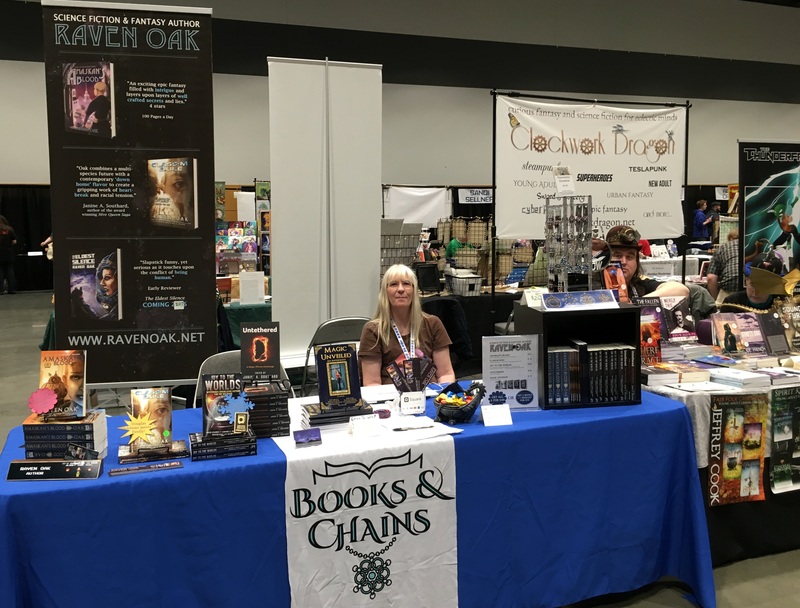 My chainmailling friend, Elise, and I had a booth in the dealer’s room as Books & Chains. 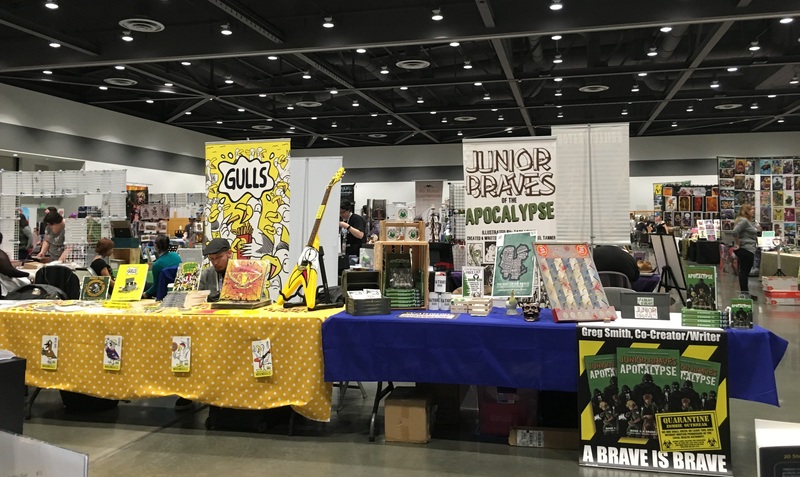 Beside us was Jeffrey Cook & Lee French of the always awesome Clockwork Dragon and across from us was Greg Smith, creator/writer of the comic series Junior Braves of the Apocalypse, which I haven’t read, but Elise has. She says it’s pretty awesome! 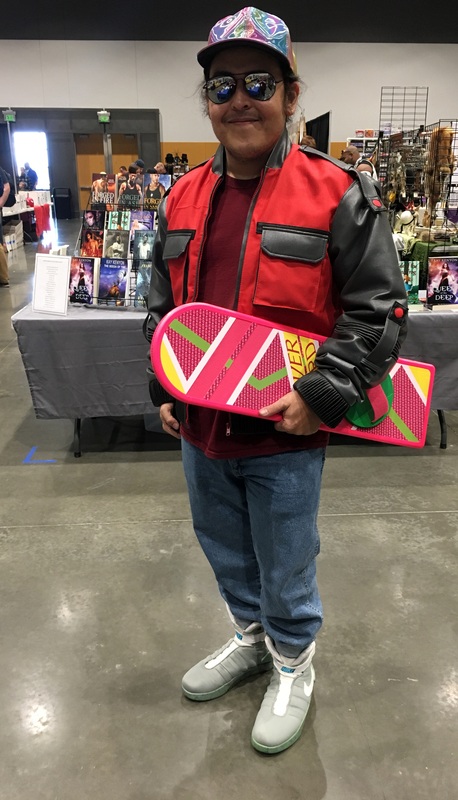 Also near us was a pretty awesome booth selling Stranger Things memorabilia. You can’t see it in the picture below but the alphabet wall was lit up with Christmas lights. 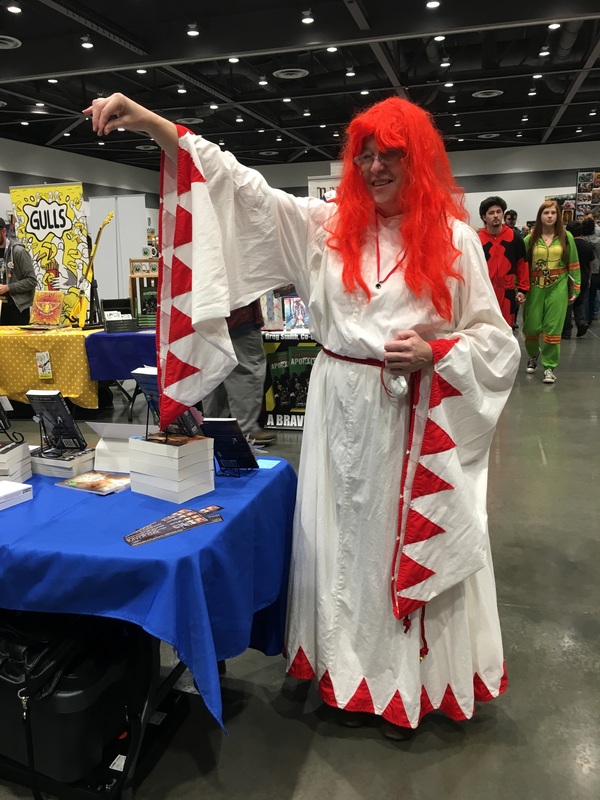 Also, the woman running the booth was cosplaying the mother and had lit up Christmas lights strung around herself. I think she was asked for photos more often than anything else. 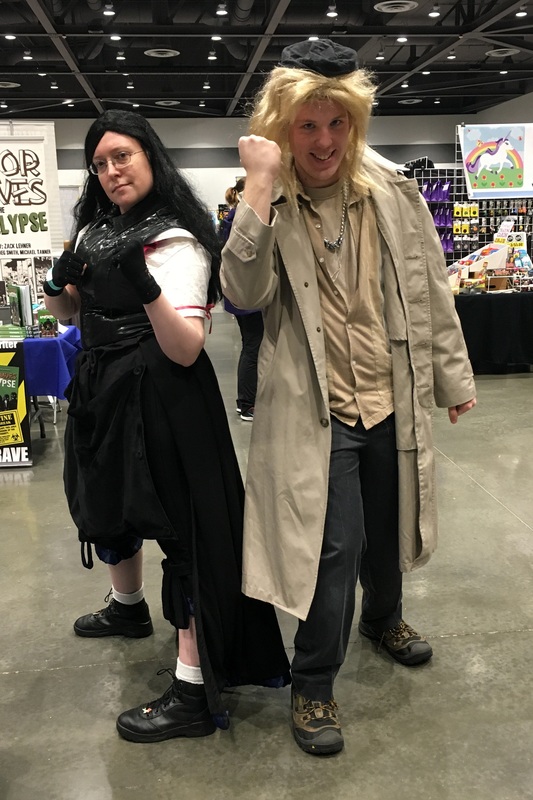 We talked to a TON of people on Saturday (by far the busiest day) and had a blast doing so. At the end of the day, we also shared an elevator ride and chat with guest and iZombie star Aly Michalka. 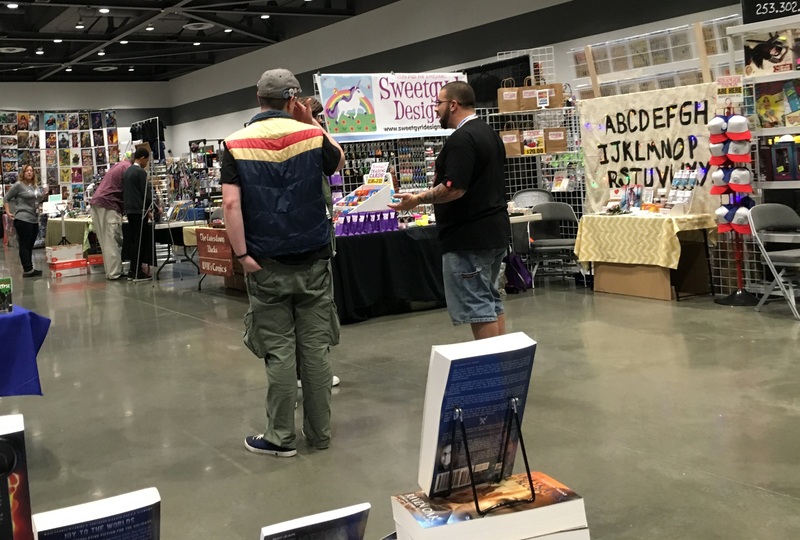 Besides awesome readers, we got to chat with some of our fellow writers like Katie Cord & Tim Long (Evil Girlfriend Media), Chuck Anderson (Alucard Press), Tom Gondolfi (Tanstaafl Press), Elizabeth Guizzetti (ZB Publications), Matt Youngmark, and probably a few others I’ve forgotten. Besides selling books and chainmaille jewelry, we had a contest to give away a chainmaille fidget toy that Elise made. 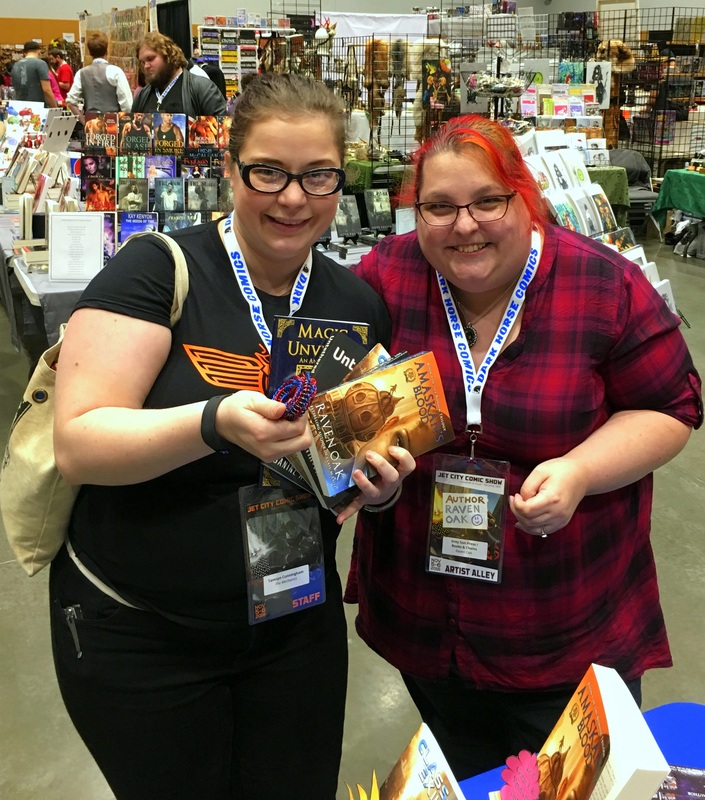 The lucky winner was Tamsyn, who also bought a copy of each of my books when she stopped by. 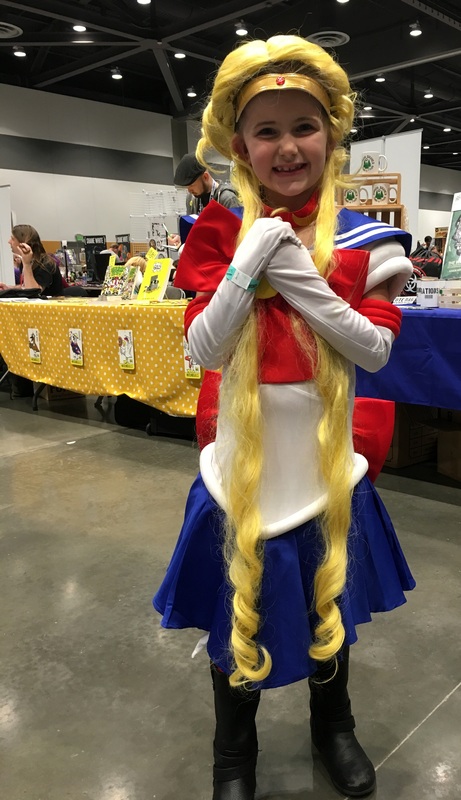 Elise and I also had the opportunity to see some great cosplay. Photos below! 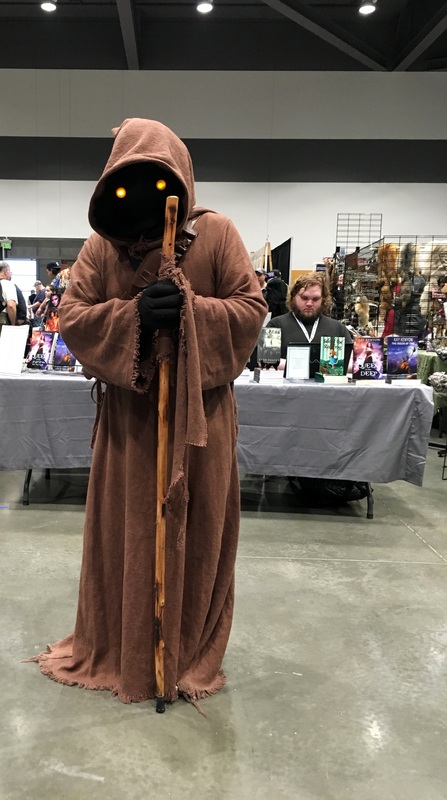 Amazing Jawa who stopped and discussed how he made his cosplay eyes. 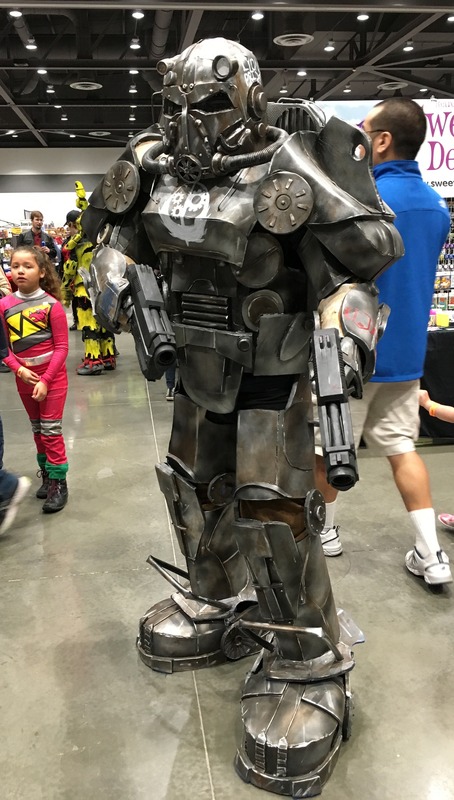 Brotherhood of Steel cosplay from the Fallout franchise. 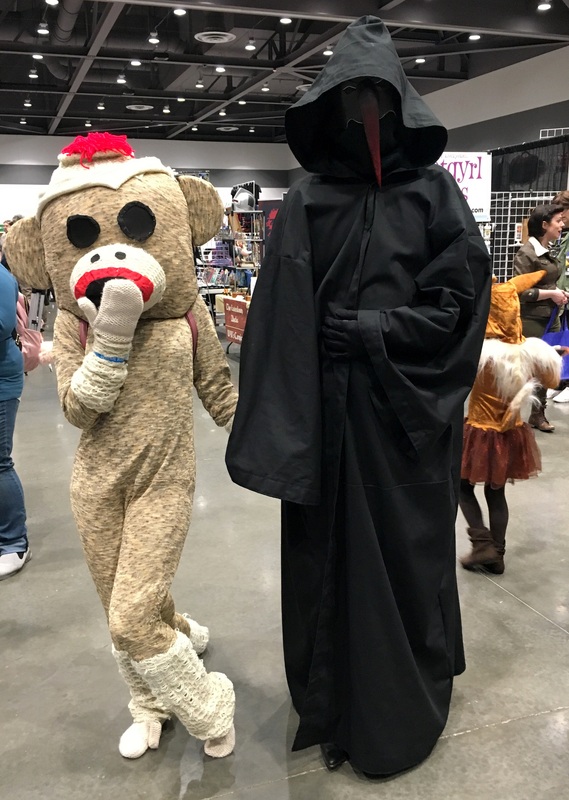 Loved this cosplay! Sheppard from the Mass Effect series. 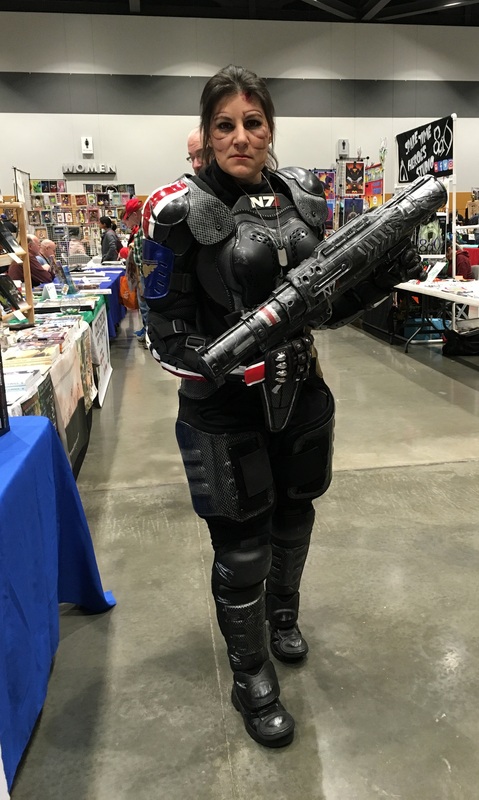 This cosplayer did such an amazing job on her face make-up! 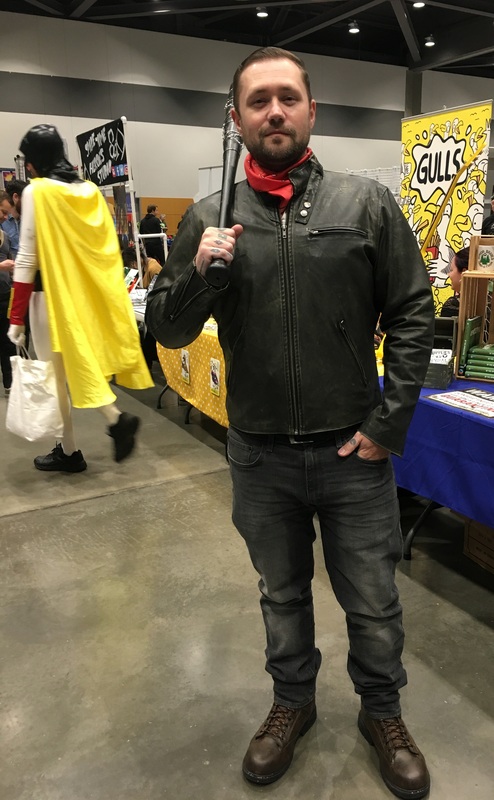 Negan from The Walking Dead, whose Lucille did NOT see a lot of action that day! Overall it was a pretty good weekend! I was pretty happy about our new dolly cart when it came time for tear down of the booth. Even then, my to-do list of things to order to prep for Oddmall’s Holiday Show and 2017 conventions is a mile long!